Welcome to another edition of Retrowatch, a weekly series where we take a look at a good game from years long past. In order for a game to be covered on Retrowatch, it must be at least 15 years old and most of all, it has to be good. 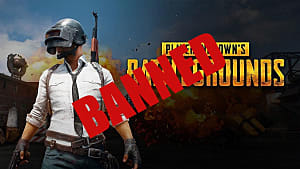 Any game that scores below a 7 out of 10 will not be covered. This week we are back to classic shooters with the game that defined the FPS genre: Quake. Quake is an FPS developed by Id Software and published by GT Interactive. It released June 22, 1996 on MS-DOS, Amiga OS, and Mac Classic. It was later ported to the Sega Saturn, Zeebo, Nintendo 64, Linux, and Windows OS. 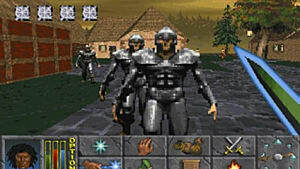 In later years, Quake was released on Steam and more recently on GOG.com, where it was modified to run on modern systems. 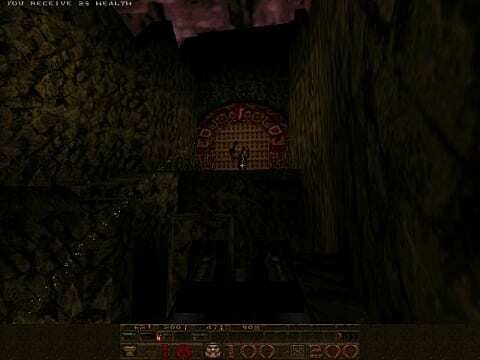 In Quake, the government had been experimenting with slip gates when the mysterious Quake linked its portals with theirs. With the portals between the worlds linked, Quake sent in death squads to the human dimension to test their combat capabilities. You take on the role of Ranger, the lone survivor who was sent into a portal to stop Quake. You must travel through four realms to obtain the four runes of power. Only then will you be able to enter the lair of Shub-Niggurath, the being controlling the forces of Quake. Shub-Niggurath is a deity of the Cthulhu Mythos, created by H.P. Lovecraft, and it is often referred to as The Black Goat of the Woods with a Thousand Young. Once in her lair, you must find a way of destroying her, ultimately stopping her invasion of Earth. In similar fashion to Id Software's previous titles, the plot is of secondary focus, while the gameplay is primary. The backstory is told in the manual, while a bit more insight into the plot is given at the end of each of the four episodes. As is usual with Id's games, the plot does exactly as it is intended to: it gives you the world that the game is based in, along with a target to defeat. Aside from that, there is not much plot to experience, so if you are looking for a deep plot, Quake isn't going to provide it. If fast-paced gruesome action is what you are looking for, then Quake will more than satisfy. Wolfenstein 3D was quick and DOOM was even faster, but neither compares to the movement speed of Quake. It's ultra speed, along with a near constant flow of action, made an exhilarating FPS experience unlike anything previous to its release. Even still, few games can compare to Quake's speed. While it was a faster game in practically every way, the combat was slightly slower than that of Id's previous games. This was due to the change from sprites to fully 3D-rendered character models, resulting in it being impossible to have a large amounts enemies on screen at one time. Becuase of this, enemies are tougher and weapons like the Shotgun and Super Shotgun are not quite as powerful or satisfying to use. Despite that, the game's combat is still fast and furious and overall, it is a satisfying experience. The enemies of Quake are what really bring the game and its level design to life. While the game begins with basic enemies like human grunts and their loyal war dogs, it isn't long before more monstrous creatures begin to show up. From the grotesque grenade launcher and chainsaw wielding Ogres to the flesh-throwing zombies and the eye-less, yeti-like creature of the Shambler, each and every enemy is distinct both in appearance and attack. This requires the player to take a different approach to defeat each and come out of a battle unscathed. Even now, over 20 years on from when the game was first released, hearing the roars and shrieks of the Shamblers and the Vores still strikes fear in me, as I know I have a battle on my hands. All the enemies are memorable, even more so than Id's previous games and once you face them, their image is forever imprinted in your mind. 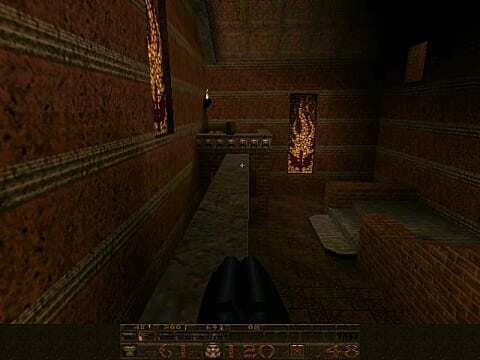 The level design of Quake is second to none. Each and every level is intuitively designed and has a constant flow to them, allowing for the player to never become disorientated or lost. 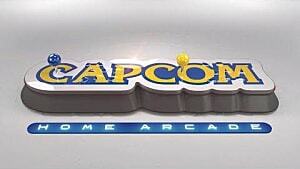 It is a form of design that was needed due to the slightly slower combat of Quake in comparison to previous titles. Most levels revolve around a central HUB, with branching paths that need to be explored in order to find the exit to the next level. At the end of each branching path, you generally always end up back within the HUB of the level, now with a new path open. Thanks to portals, lit pathways, and well-placed signs, the levels keep backtracking to a bare minimum and allow a constant flow of action. Truly, the level design of Quake is one of the best you will ever experience. 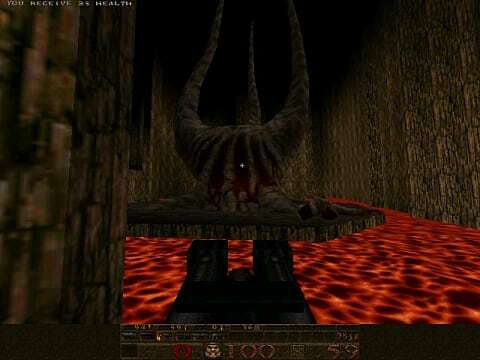 Quake's development was anything but a smooth ride for Id Software. 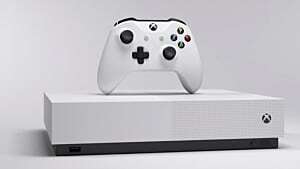 With its new game engine taking far longer than expected to build, the team was under serious pressure to get the game finished by its release date. 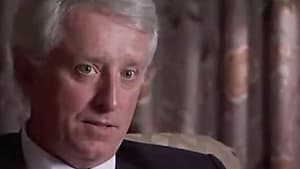 This ultimately led to compromises that can be seen within the game. The most glaring product of this comprimise is the lack of boss fights in episodes 2, 3, and 4. The end of the first episode has the player face off against a gigantic being called Cthon. Episodes 2 and 3 pit you against new enemies that are standard of the next, while the final episode has you battling four Vores. 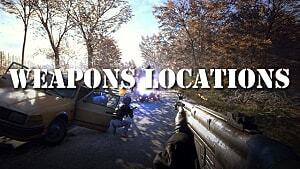 Next would be the weapons. The lightning gun doesn't have a variation like the other weapons, but one was originally planned. Along with that, they are not quite as impactful and fun to use as the guns in DOOM. The textures of the levels are also quite limited, despite the level design being brilliant. You often come across numerous levels that feel and look similar to previous ones. Just like the planned variation of the lightning gun, there were designs and plans for other types of levels that ended up being thrown out. Again, this is likely due to compromise. Much like the rest of Id Software's games, Quake too had varying difficulties that catered to all players. Unfortunately, they lack the creative naming that previous id games had and instead consist of simply Easy, Normal, Hard, and Nightmare. 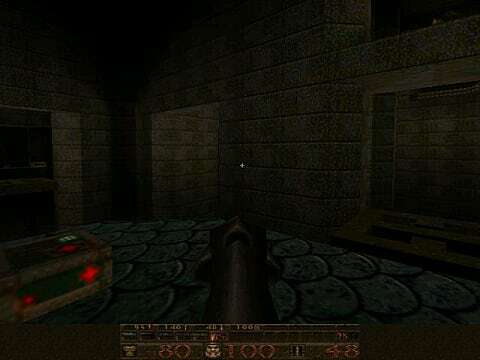 The latter difficulty is hidden, resulting in players having to seek it out if they wish to face the greatest of challenges that Quake has to offer. While it is best to play the game at a level you are comfortable with, I have always felt that playing in Nightmare gives the best experience. It has always felt that it is the way it is supposed to be played. The difficulties don't change anything other than the sheer number of enemies within each level. 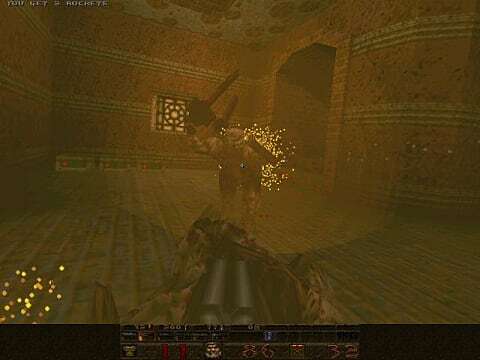 In the likes of Hard and Nightmare, there are few more and bigger enemy ambushes and traps to be found, but aside from that, the gameplay is the same. 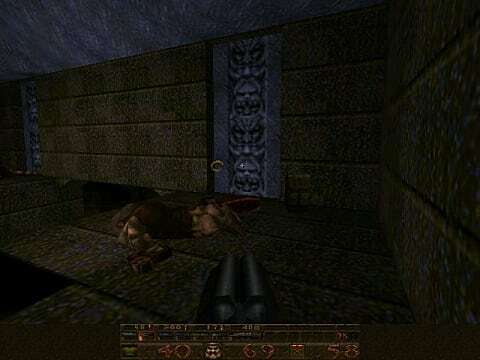 It is the gameplay of Quake that revolutionized the FPS genre. 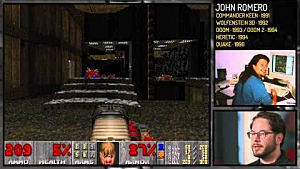 Wolfenstein was a testing of the waters, while DOOM was the title that popularized the genre. 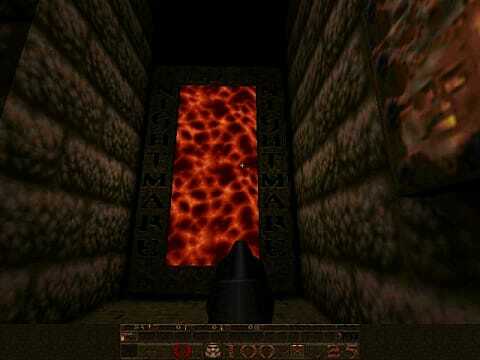 It is, however, with Quake that the FPS genre was truly born. 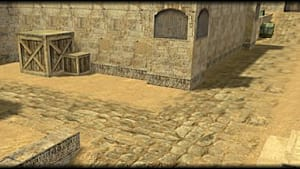 It's multiplayer is what solidified the online deathmatch and it wasn't long before the community began to introduce new game modes for online play, with the likes of Capture the Flag. It was a mod for Quake that the popular online FPS Team Fortress was created. 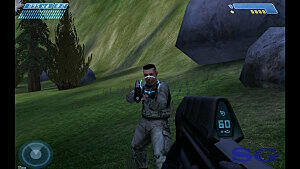 It is the game's multiplayer that also brought on the popularity of eSports. The game also came with a built-in gameplay recording software, allowing for players to record and show off their speed runs and other feats. It is through this that Machinima was first introduced with videos likes Diary of a Camper. Truly, Quake is a game that gave us so much, but so infrequently is it remembered for it. Quake may not be perfect, but it is still one of the best FPS games ever made. With intuitive level design, ultra fast-paced action, and memorable enemies, there isn't much not to like about the game. The game's graphics may not have aged very well, but it is still just as playable and enjoyable today as it was in 1996. 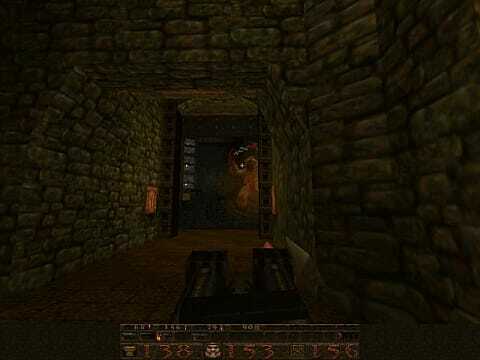 More than 20 years from its initial release, every FPS game has a bit of Quake running through its code. For a game that was developed under extreme pressure, it has left a legacy that no other video game ever has or will. I hope you have enjoyed this edition of Retrowatch, and I hope you will join us next Monday, where we will be taking a look at another retro title. Interested in seeing more Retrowatch reviews? Check out my review of Severance: Blade of Darkness and "Wolfenstein: Spear of Destiny." Quake is still one of the most exhilarating single player and multiplayer FPS experiences on the market -- and a game that gave us so, so much. Competitive FPS: A Dying Genre?